Traceability data (i.e., Date Code, Lot Code) for this item is currently unavailable. Heat shrinkable identification sleeves that are manufactured from high quality, flame retardant polyolefin with excellent performance properties. 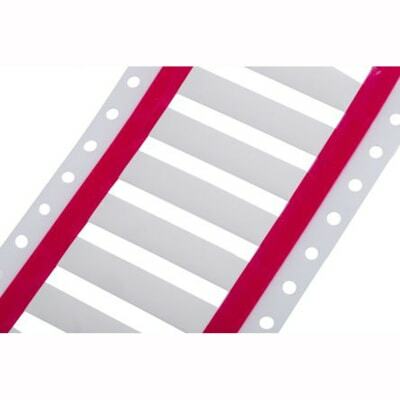 The marker sleeves are pre-cut and organized in a ladder format. The identification sleeves are extremely flexible with a thin wall design allowing them to be used with printers; reducing errors, installation time and cost. You'll still have a chance to review your order.